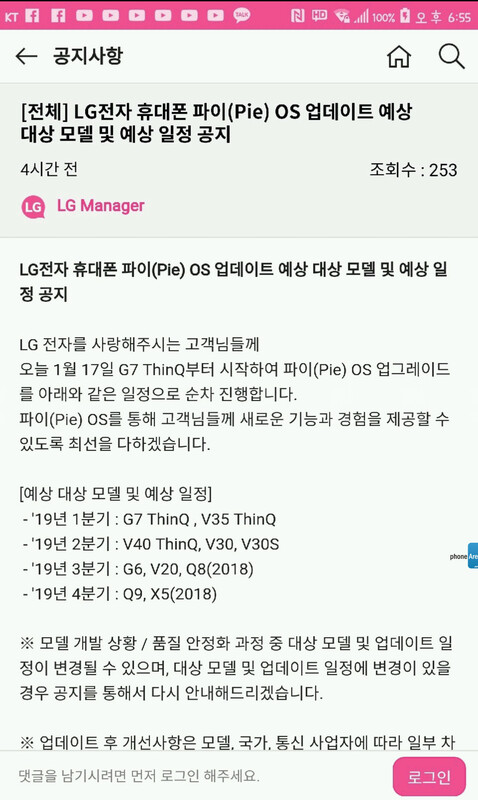 LG has been testing the G7 ThinQ Android 9.0 Pie update since December, and at the time announced that the final build will come in 2019. When exactly? Well, an official schedule posted in the LG Korea forum answers this pressing question, and not only for the G7, but also the V40 and other flagships from the brand. It looks like the G7 and V35 will get their slice of Pie in the first quarter which can be anywhere before April kicks in, while the V40 and other Vs will have to wait for the second quarter. Later in the year, we will see low-priority handsets like the G6, Q8 or V20 get the Android 9 goods, too. 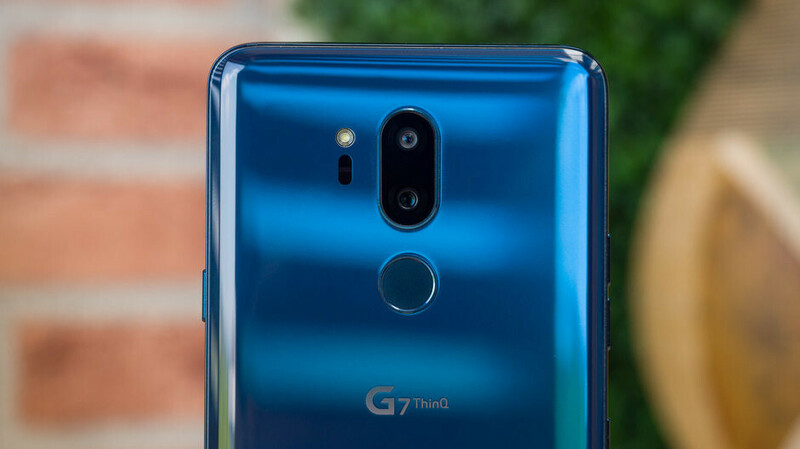 Just like it did with many of its previous flagships, LG has only made its G7 ThinQ beta program available in South Korea, at least in the beginning. More recently, the handset maker confirmed that the final version of the update will be available for LG G7 ThinQ owners in South Korea in Q1 2019 and is now reiterating that promise. Once LG starts rolling out Android 9 Pie to the G7 ThinQ, it won't take too long for the update to arrive in other countries, so stay tuned for more info on the matter. Who would want Android 9? Worse battery life and it takes away features, Apple-style. LG is the worst offender when it comes to updates. Even Samsung has updated their 2018 flagships and now are updating their 2017 flagships. I thought the situation is going to improve when LG introduced an entire “software center”, but I guess that is just a PR move. Thankfully that software upgrade center has really sped updates up. LG has come a long way since last year as far as software updates are concerned.